American Girl craft kit 1996. Unopened - Gift giving condition. Real pretty. 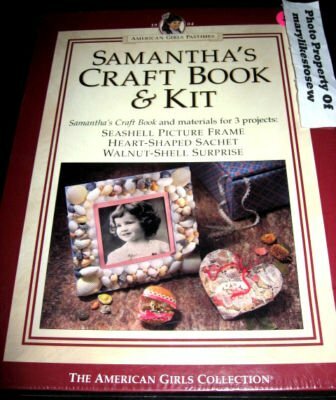 Three projects to make: Seashell picture frame, heart-shaped sachet, and walnut - shell surprise. All materials and instructions included. Please note: Since I did not open the box, I cannot be sure the paint hasn't dried out, but it is easy enough to get some at a craft store. There is a bag of potpourri and a bag of pretty little seashells. Some fabric, needle, pins, thread and lace.